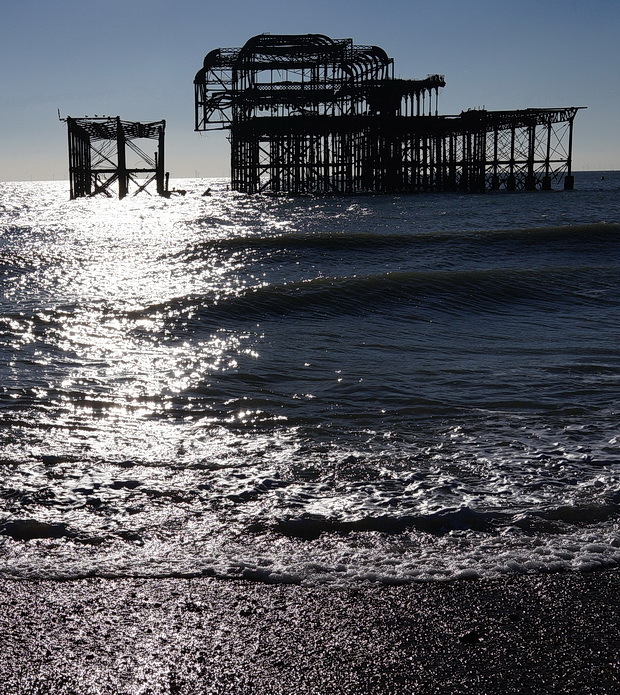 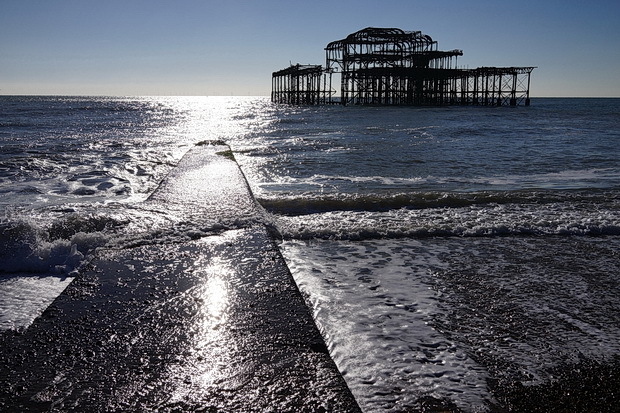 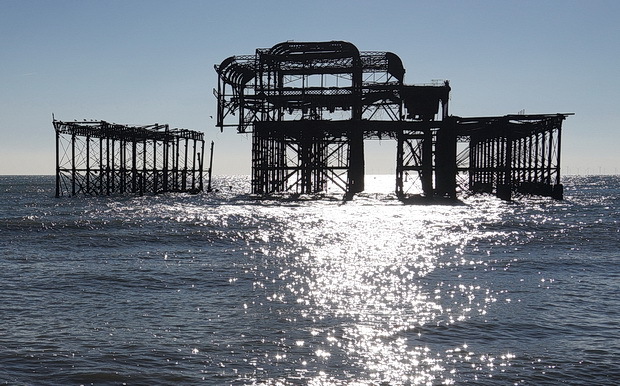 The remains of Brighton’s magnificent West Pier have been doomed to slowly rust away into the English Channel after a series of unexplained fires followed by storm damage made all attempts at restoration uneconomic. 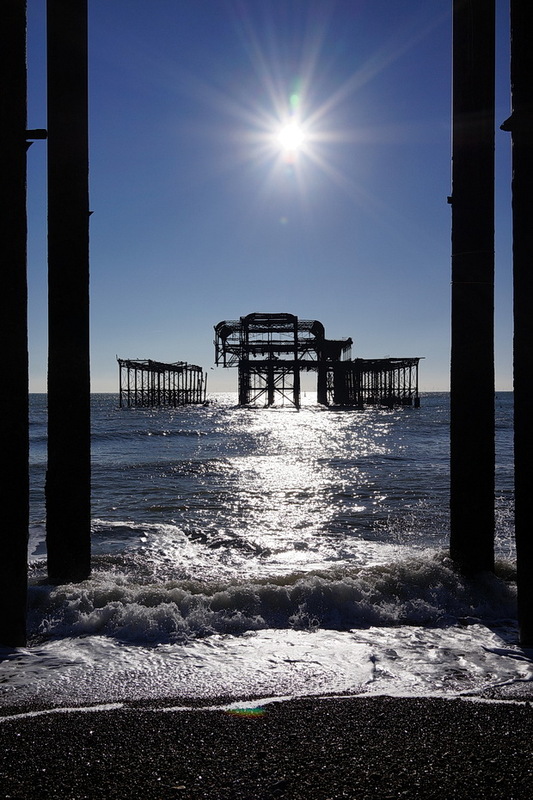 Designed and engineered by Eugenius Birch and opening in 1866, the West Pier was a simple and functional structure built using dozens of cast iron threaded columns screwed into the seabed and strengthened by a lattice of ties and girders. 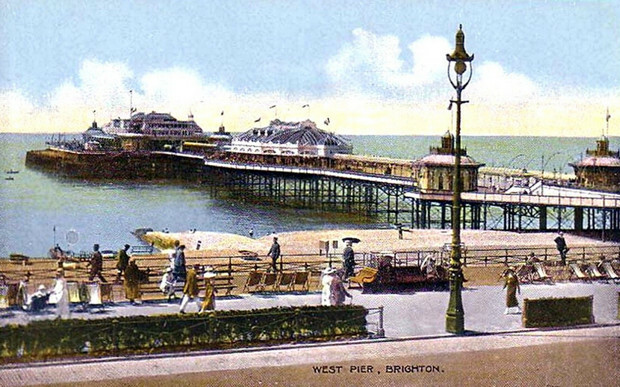 When it opened, the West Pier had an open deck with six small ornamental houses of oriental design, two toll houses and glass screens at the pier head to protect visitors from the wind and sun. 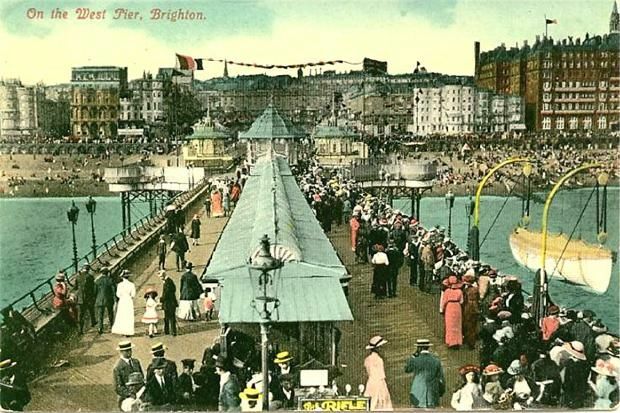 In 1875 a central bandstand was added, followed by the construction of a large pier head pavilion where up to 1,400 people could enjoy concert performances. 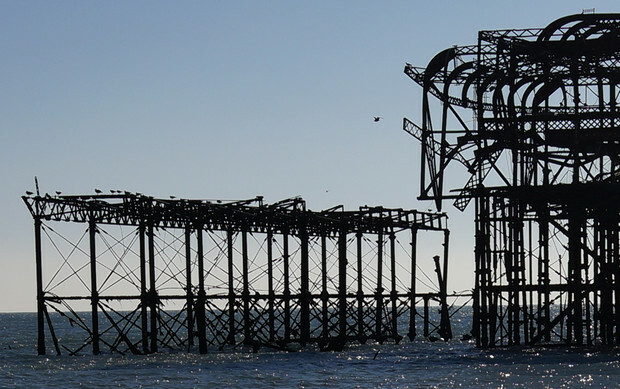 Seaside architecture at its finest, designed to attract and entertain holiday-makers with all the pomp and frippery that is the essence of the English seaside resort. 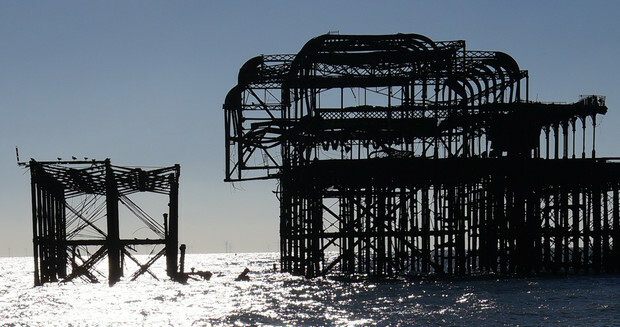 Grade I listed in 1969, the entire pier closed to the public for safety reasons in 1975. 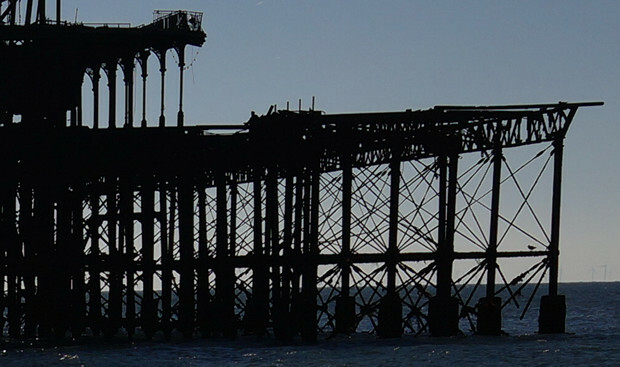 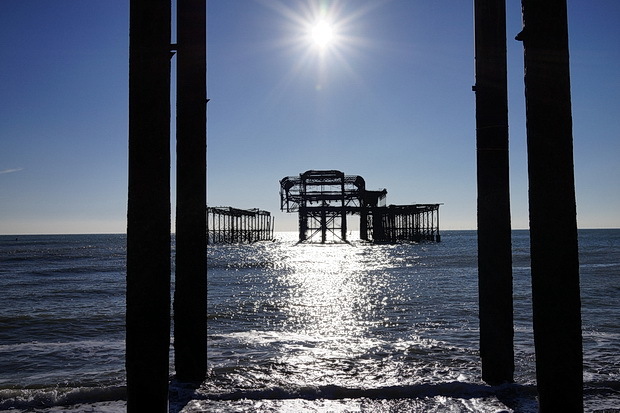 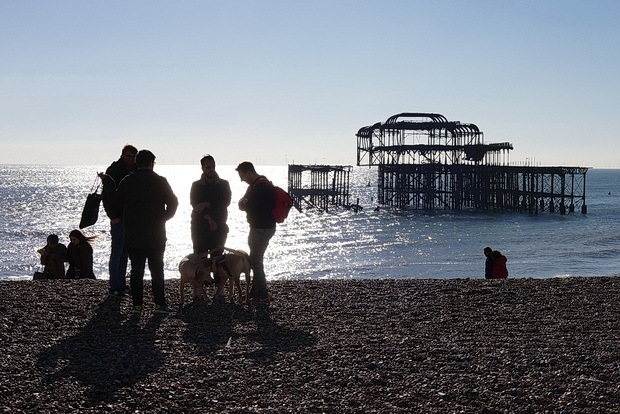 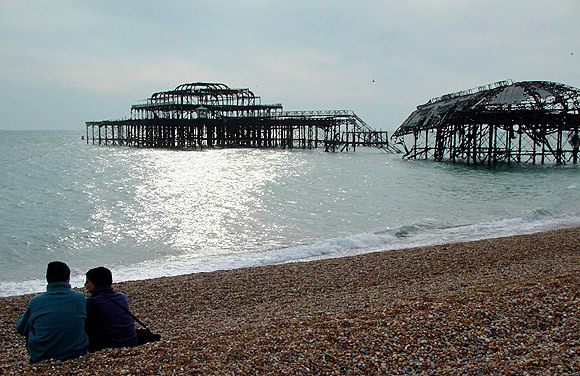 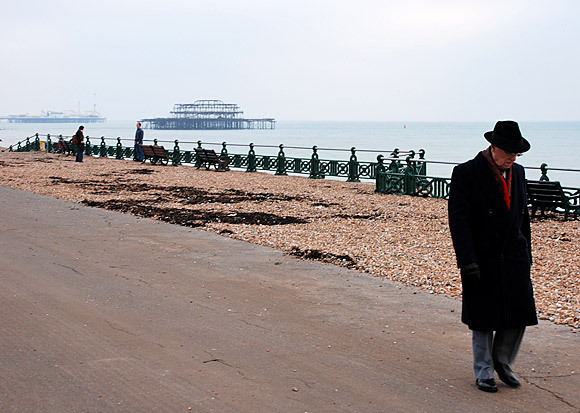 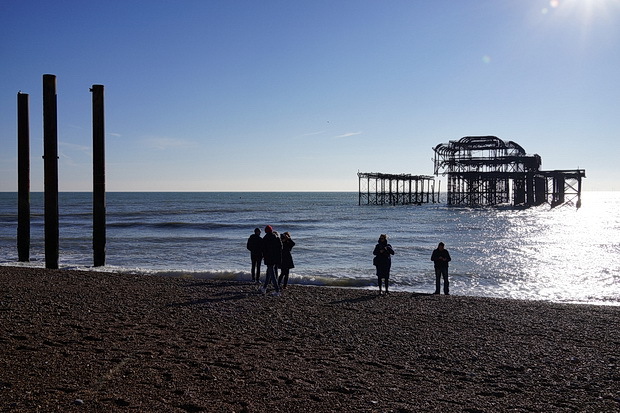 With campaigners keeping the plight of the West Pier in the news, the future looked good in 2002, with work on the structure starting up after the awarding of a £14.4 million restoration grant. 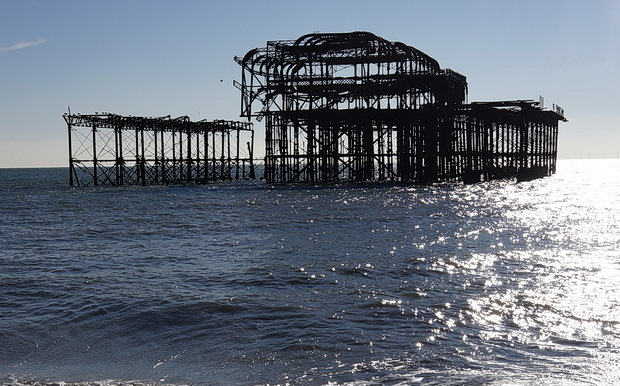 Sadly, the partial collapse of the Concert Hall in the storms of Dec 2003, followed by two arson attacks in 2004 saw funding withdrawn, and the pier’s fate was set, with subsequent years seeing more parts of this stunning Victorian structure sinking into the sea. 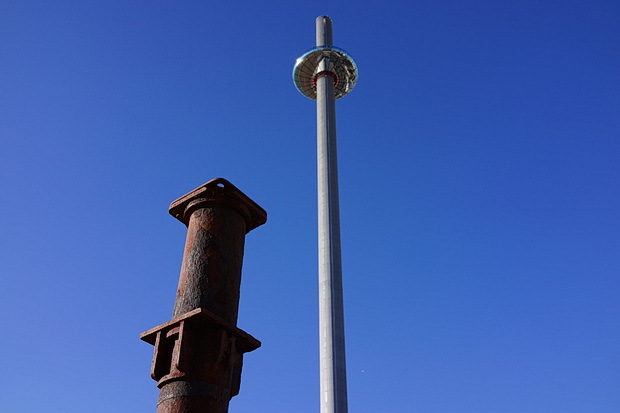 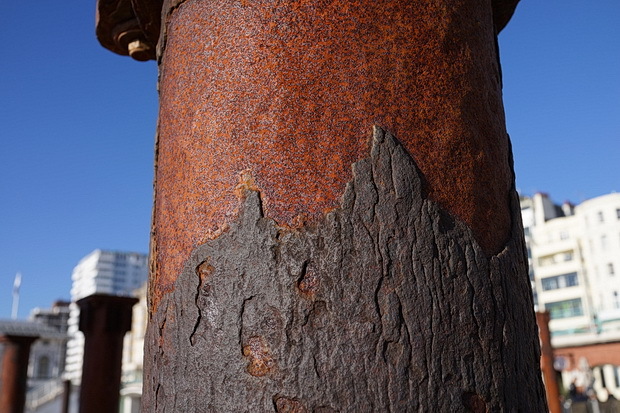 Billed as a vertical ‘successor’ to the West Pier, work on the i360 tower started in 2014. 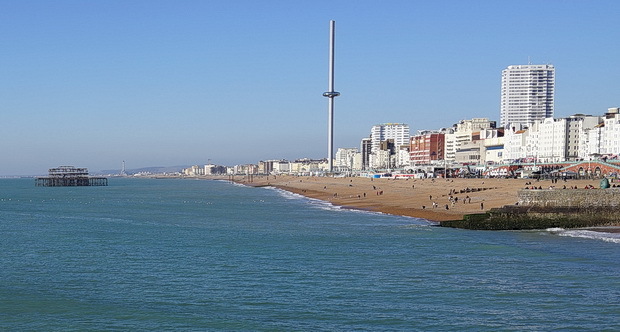 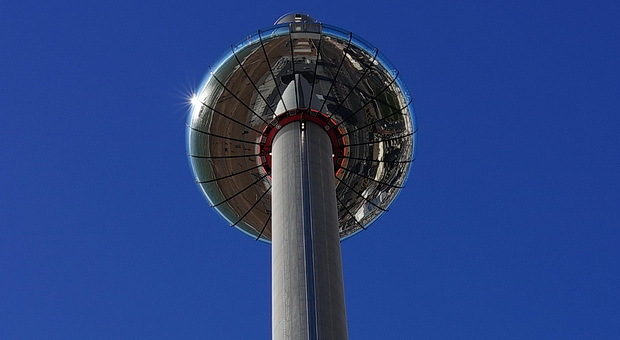 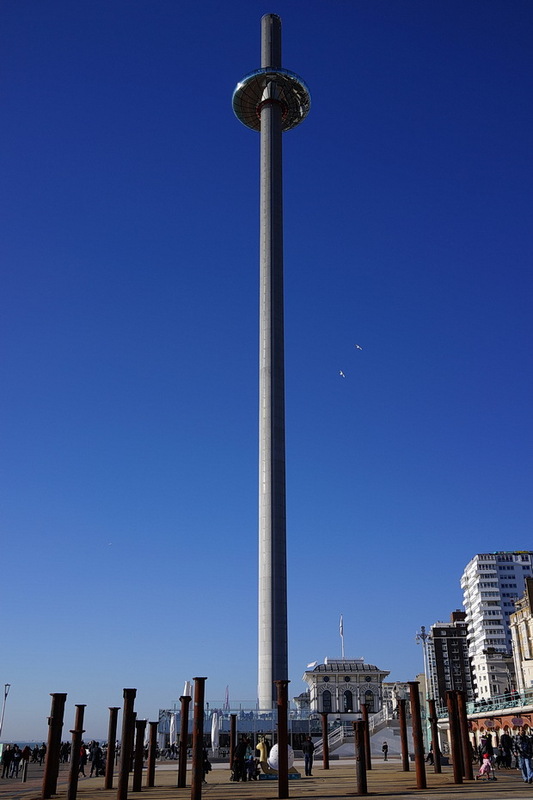 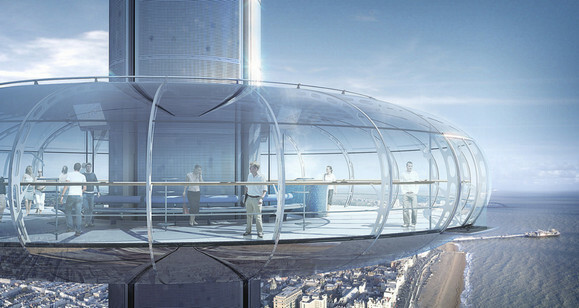 A tall observation tower with a passenger pod that rises 150m above sea level to offer dramatic views of the area, the i360 hasn’t proved the success that its backers hoped, with the low passenger numbers seeing the owners asking for a review of its taxpayer-funded loans. 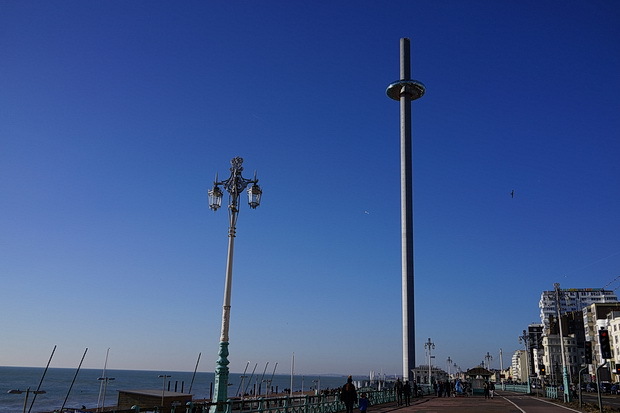 In the first full year, from August 2016, the i360 had just over 500,000 visitors, significantly fewer than the 800,000 predicted.